At our Clubs, we offer high-quality, affordable summer programming for youth grades 1-12. In addition to regular drop-in programming, kids can attend specialized summer clubs built around fun, engaging weekly themes, where they’ll dive into topics including the arts, sports leagues & fitness, science, exploration, leadership and more. Please read through the information on this page for answers to commonly asked questions, important updates, and more, before registering. When in doubt, contact your specific Club site for clarifications. Not yet a member? Become a member for the summer! Membership has benefits. If you haven’t already purchased an annual membership for the 2018-2019 school year, consider investing $65 in a summer-only membership. For $65 at the beginning of summer, your child can attend Afternoon Club from 12-6pm all summer long at no extra cost. Summer members get the $65 weekly member rate to attend Morning Club, 9am-12pm. Feel free to join in on the fun and give the Club a try without becoming a member. Our visitor options are best for those who would like to attend all-day Club for only a week or two, or who need daily drop-in options. Scholarships and payment plans are not be available for visitors. Summer programs are 8 weeks long. Dates and hours vary by location. Our school based site schedules are developed in partnership with school districts, and may still be subject to change through the months of April and May. Check with your specific Club site for questions. Margaret Scott Elementary (SUN site): Dates and location may be subject to change. Students from these middles school sites will be located at New Urban High School over the summer. Hours, dates, and ages accepted at each Club site vary. Use the menu below to get more information about your specific Club site. Clubhouses follow the basic Sunrise, Morning, and Afternoon Club structure laid out below. Blazers Club will serve only 1-6th graders over the summer. Teens can attend nearby Regence Club, which will be a teen only (7th-12th) site. These Clubs will resume serving 1st-12th graders when the 2019-20 school year begins this fall. Transportation will be available to take teens to and from Regence Club, but space is limited. More details available on the Regence Club page. * Free meal provided 12pm-1pm, and is open for all 0-18 youth in our community. Visitors: No extra cost to visitors who have already paid daily or weekly morning Club fees. Otherwise, you will be charged at the Morning Club visitor rate. Inukai Club is open to all youth in grades 1-12 from 9am-6pm. Regence Club will be a teen-only (7th-12th grade) site for the summer. Teens from nearby Wattles and Blazers Clubs should plan to attend Regence for the summer. Blazers and Wattles will be youth only (1st-6th grade) sites. Clubs will resume serving 1st-12th graders when school year begins in the fall. Annual teen membership is $5, with no extra summer fees. Transportation will be available to take teens to and from our Regence Club, but space is limited. Wattles will have space to transport 25 members and Blazers will be transporting 13 members. Parent or guardian notice needs to be had if members are not returning to their home Club for the day. Teens will be leaving Wattles and Blazers at 12:30pm to head over to Regence, and will return to their local Club by 6pm. Lunch will be from 12 pm – 12:30pm at your local Club. Food will be provided at the Regence Club. Rockwood Club is open to all youth in grades 1-12, but Sunrise and Morning Club are reserved for youth in 1st – 6th grade. Teen hours (for those headed into 7th-12th grade) begin at noon. Wattles Clubs will serve only 1-6th graders over the summer. Teens can attend nearby Regence Club, which will be a teen only (7th-12th) site. Both Clubs will resume serving 1st-12th graders for the 2019-20 school year in the fall. Transportation will be available to take teens to and from Regence Club, but space is limited. More details available on the Regence Club page. Oak Grove Club is a youth-only site that serves 1-6th grade students in the North Clackamas School District. Elementary Schools served include: Ardenwald, Bilquist, Lewelling, Linwood, Milwaukie, El Puente, OakGrove, Riverside, and Lot Whitcomb. * Free meal provided 12 pm-1 pm, and is open for all 0-18 youth in our community. Want to get an even earlier start? Sign up for Sunrise Club to pack even more fun into summer! 1st – 6th graders can come in bright and early between 7:30 am and 9 am to start summer days off right with safe, supervised activities and games before Morning Camps start. This a great option for parents who work early! Morning Club allows kids in 1st-6th grade to participate in age specific activities, including dabbling in the arts, exploring science and technology, getting active with sports and fitness, honing leadership skills, and more. Afternoon Club is free for school year members and summer-only members. Visitors pay the daily or weekly rate regardless of arrival time. Lunch is provided for free from 12pm – 1pm at Wattles, Oak Grove, Rockwood, Blazers, and Inukai. Any and all youth, ages 0-18, are welcome to come to the Club for a free Summer Food Service Program meal or snack during their local Club’s meal service time! 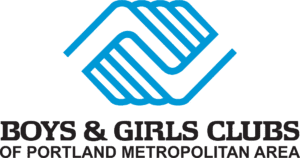 Boys & Girls Clubs of Portland Metro is an equal opportunity provider. Hours, dates, and ages accepted at our school-based Clubs are developed in tandem with the school district, and different from the Clubhouse structure. Use the menu below to get more information about your specific Club. Our North Clackamas Middle School sites at Rowe and Alder Creek will be operating out of New Urban High School, serving middle school youth. Hours for these sites will vary from the summer structure of our other Clubs. Programs will focus on service learning projects and summer learning loss prevention, CTE, and horizon broadening experiences. Lot Whitcomb Club serves 1st-5th grade students from Lot Whitcomb Elementary. This is an invitation-only program. Students not selected can enroll at Oak Grove Club. 1st – 5th grade: Summer learning loss prevention programs. Afternoon Club will follow weekly themes broken up by grade. Margaret Scott Elementary is a SUN site in the Reynolds School District. Dates and location may be subject to change. What’s happening at the Club during summer? Summer Learning Loss Prevention is offered at all Club sites for elementary kids daily, in order to help curb summer learning loss! 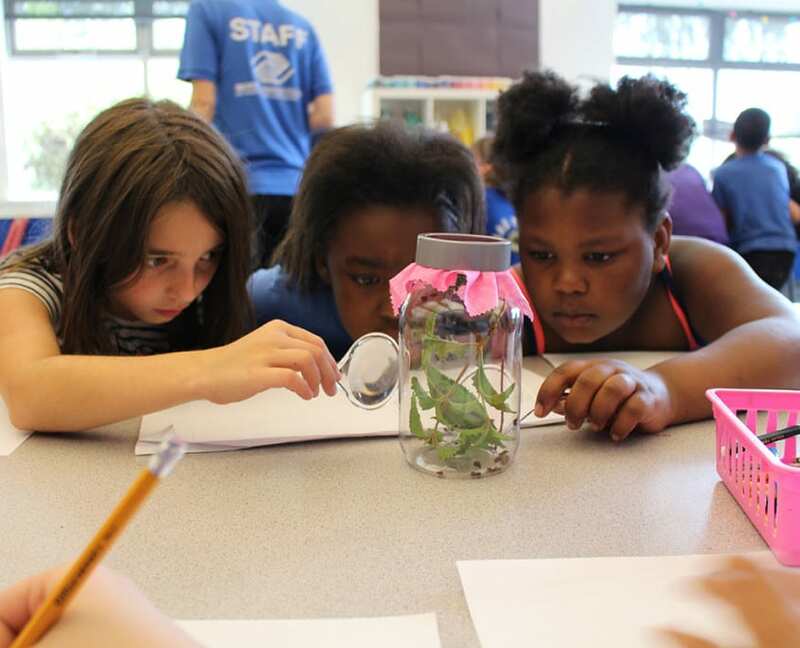 Boys & Girls Clubs of Portland is committed to keeping kids’ brains active and engaged this summer! Summer Learning Loss Prevention gives kids the chance to have fun while learning through fun experiments, inventing, and exploring the world around them. 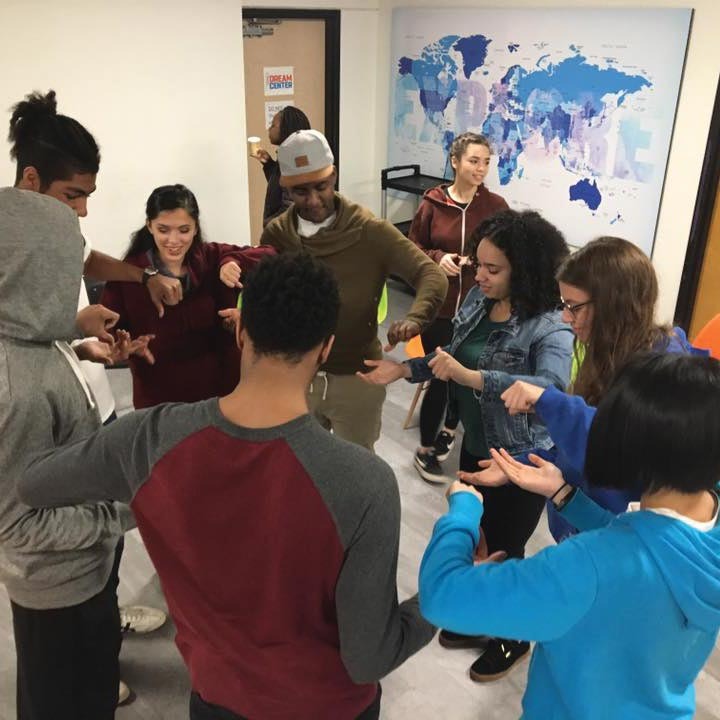 Each module takes a project-based learning approach to develop critical problem-solving and creative-thinking skills; youth engage in a process of learning through discovery, imaginative expression, group work and a final project or production. Soccer for Success is offered at Club sites free of charge in order to help kids stay active. Ask your Club for details. Soccer for Success is a free after-school program that is proven to help kids establish healthy habits and develop critical life skills through caring coach-mentors and family engagement. The program focuses on healthy living, mentorship, and community engagement. Teen Centers are for rising 7th-12th graders and open at noon each day. Do something new each week with your fellow Club teens as you plan and implement service projects and grow your leadership skills through team challenges. Learn how to inspire others to greatness, make tough decisions, and develop creative solutions to tricky problems. Make a difference this summer and find out what it takes to be a leader in your Club and in your community. Sign up at your local Club in the Teen Center! Connect with Director of Teen Services Matt Heady ([email protected] OR 503.969.5195) to learn how to apply. Teens (headed into 7th-12th grade) are welcome at our Rockwood, Inukai, and Regence* locations for summer 2019. New Urban High School will be open over the summer to our Alder Creek and Rowe Middle School teens. Annual teen membership is only $5! Teen hours are 9am-6pm at Inukai, noon-6pm at our Regence and Rockwood locations, and 10am-2pm at New Urban High School. * This summer, our Regence Club will be a teen-only (7th – 12th grade) site, and nearby Blazers and Wattles Clubs will be youth-only locations (1st-6th grade). For more information, please see Regence Club info. Boys & Girls Clubs of Portland Metro, in partnership with the City of Gresham, is putting a hop and a SKIP into summertime with Summer Kids in the Park, an 8-week program for youth 18 and younger. There is no cost to participate in the SKIP summer recreation program. A nutritious sack lunch will be served through the U.S. Department of Agriculture’s summer lunch program. Are only available for member sessions (summer or school year), and are not available to visitors or drop-in fees. If you are interested in applying for a scholarship please do so before registering for summer program to reduce the 10% deposit required at check out. Scholarships may be applied for even after registration. Any initial deposit amount will be applied to the resulting total once scholarships are applied. Scholarships cannot be applied to offerings that have already occurred. Scholarship forms are available on our website, or at any of our Club locations. All scholarships will be reviewed, and our staff are committed to a 5 business day turnaround time for requests. Families that were awarded a school year scholarship will need to re-apply for summer specific scholarships. We have a limited availability for our Morning Club time. If you wish to un-enroll your child from one of our weeks, please contact your Club at least seven days prior to that week’s start date in order to receive a 90% refund or have 100% of your purchase applied to other Boys & Girls Clubs of Portland offerings. If a cancellation is requested less than seven days prior to a camp’s start date, no refunds or transfers will be given. If a registration is not cancelled 7 days prior to the camps start date, registrants are still responsible for all fees regardless of Club attendance.